Supersymmetry and geometry are tied together in many remarkable ways. Over last 40 years these two fields have influenced each other enormously. Many new interesting geometrical constructions were motivated by the supersymmetry considerations, e.g. the hyperKahler quotiens, generalized Kahler geometry, generalized geometry, T-duality and many other topics. The workshop “Geometrical Aspects of Supersymmetry” will be devoted to these exciting interaction between supersymmetry and geometry. 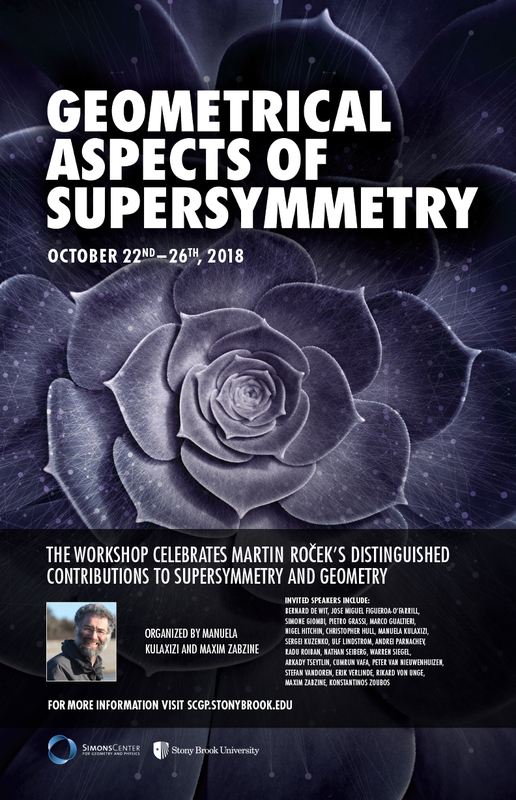 Professor Martin Roček at Stony Brook had a huge impact on the development of the interrelations between geometry and supersymmetry; several of the foundational works in the subject were co-authored by Martin Roček who turned 60 a few years ago. This workshop will celebrate Martin’s distinguished contributions to supersymmetry and geometry.